Born into a poor family in the East End of London, William Sangster came to faith in his local Sunday school. After training for the ministry his various appointments were all marked by great blessing. His first service here in Westminster was interrupted by the news that war had been declared, and soon he had organised a shelter which served Londoners for 1,688 days, his family also living here in the Hall. A prolific author, especially on the theme of holiness, he wrote many books, often writing into the early hours. His popular evangelical preaching sustained a packed congregation throughout and after the War and his influence upon Methodism was profound. 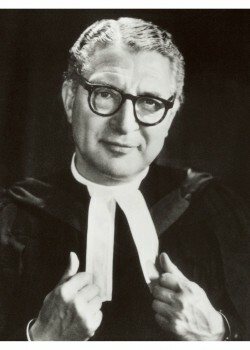 He was elected President of the Methodist Conference in 1950.